Over these last few days, many of our students have been talking to me about their thoughts and plans for accommodation arrangements next year. I forget how early this kicks in - I swear it’s still only November and that the autumn term has only really just got up and running! Thinking about who to live with, where to live, how much to spend and so on can be really tricky. A good question is this: How can I be a good disciple of and witness for Jesus in my living situation? I received a brilliant article from Peter Dray, UCCF’s Head of Creative Evangelism, with this question in mind. Most of what follows is taken from that article, and Pete was happy for me to grab his material and pilfer it for our benefit! Let’s consider how you live with who you live with from three different angles: living in university accommodation, living with unbelievers and living with believers. Peter Dray (@peterdray) is UCCF’s Head of Creative Evangelism, based in Leeds. 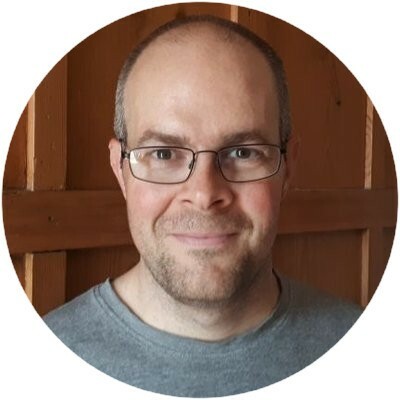 He is passionate about finding ways of making Christ known in the range of student contexts that are both faithful to the gospel and which scratch where students really itch! You turn up on your first day of university and suddenly these strangers in front of you are your housemates. Or you are staying in the familiar settings of uni housing for your subsequent years, meaning you go through the process all over again, which you may find either exciting or daunting. I remember my 1st year corridor of 27 guys (yes, 27!) was an intimidating introduction to uni life and a challenge to begin befriending people. How can you go about living for Jesus like this? There are definitely advantages. By encountering more people than when in privately rented accommodation, you have more chances of making new friends, both Christian and not. During the first few weeks of first year, people are much more open to one another and accepting invites to hang out and chat. If you are re-entering uni accommodation, freshers students could well look to you as an “all-knowing, all-wise” experienced student and you can help people through the highs and lows of first term. If the type of accommodation allows, you can use shared living spaces to invite people around and befriend them, caring for those who are lonely. This approach will benefit you as well as others. If possible, so far as it depends on you, live peaceably with all . As Christians we don’t purposefully cause upset or disruption, but we can accept that living peaceably with others as best as we can is sometimes enough. Some people on my corridor I simply said hello to as we passed each other and I always did my bit to look after our shared space. You can be friendly without having to best friends. This can be hard as we naturally want our home to feel like a family, and there’s much you can do so that you don’t end up neglecting your housemates. Pray for them. Stay alert to if a relationship starts opening up. God can soften the hardest of hearts and use the least likely of situations to break through. If you are close with housemates in university accommodation, these are often very dear relationships that last throughout university life. With fellow believers, you have years ahead of you of discipling one another. With unbelievers, there will be many opportunities to witness to them. Both are so worth celebrating and could well be incredibly fruitful for yourself and the Kingdom. This was my experience in my second year. Friendships made on my first year corridor resulted in living in a house of three and both my housemates didn’t follow Jesus. The obvious upside is the potential abundant opportunities for housemate evangelism. With less of us, there was concentrated time together. The way you conduct yourself, look after the home, offer food and close friendship all speak volumes about a life devoted to Jesus. You have plenty of time to strike up conversations with them about Jesus, as do they with you. These are not a guarantee. I must admit I didn’t see much of my housemates as they were fairly recluse in their rooms most of the time. It wasn’t so much that they were closed off to Jesus, they just preferred to have their doors closed to everyone else! However, if you do genuinely live life with each other, God really can use it for such good. I struggled with being a lone evangelist with my housemates. In my desire to have an impact on them for Jesus, I hadn’t realised some of their ways of living that didn’t honour Jesus had become my ways of living. Examples include the films we watched, the language we used and the way we used our time. If you are deciding who to live with next year, this is wisdom worth receiving. Is there a group of you where there is a mixture of believers and unbelievers? Hopefully anyone currently living with a mix of believers and unbelievers can testify to having both the opportunity to witness alongside staying accountable. If you’re already a lone Christian in a house by choice or not, then do stay alert to your own strengths and weaknesses. You can absolutely still live for Jesus and see housemates saved and transformed, but acknowledge potential tricky living habits that could affect you negatively. Maintain good friendships with fellow Christians - invite them over to get to know your housemates and go round to theirs to experience living around other believers. Simple habits like this can really make a difference for you and for your housemates and for the Kingdom. This was my third and final year. I moved out to live with 4 other Christians from my church. This is the simplest and (hopefully!) best situation in looking after your own following of Jesus and living like Him. You are more likely to have similar philosophies towards communal living because seeing yourself as family is a defining aspect of being a Christian. You can hold each other accountable as you understand what following Jesus really means for your daily life more than an unbeliever ever could. If a house full of believers agree to disciple each other and witness together, this can be a wonderful way to live. So, students, I really hope these are helpful thoughts to help you put Jesus first in how you live alongside others both for the rest of this year and next. A quick postscript for those reading who are not students. To live well for Jesus as a student in a student house, you need to be able to get out every now and then to someone else’s house. You know, somewhere like a family home that’s a bit warmer and a bit cleaner and has people of different ages in it with a meal that’s probably a bit nicer than usual. Maybe I’m describing your home? (hint hint) Being invited as a student into a family home is worth its weight in gold and a healthy break from the student world. We have been doing this at The City Church in Canterbury recently on Sundays with something we call Hospitality Lunches. This is where anyone willing cooks extra food for their Sunday lunch and sees who wants to join them after the Sunday service. Our students are lapping this up! They are enjoying not just the food but the company and conversation as fellow followers of Christ. How could you open up your home to students and help them continue in living for Jesus? If are part of The City Church in Canterbury and want to host a hospitality lunch, click here to sign up. 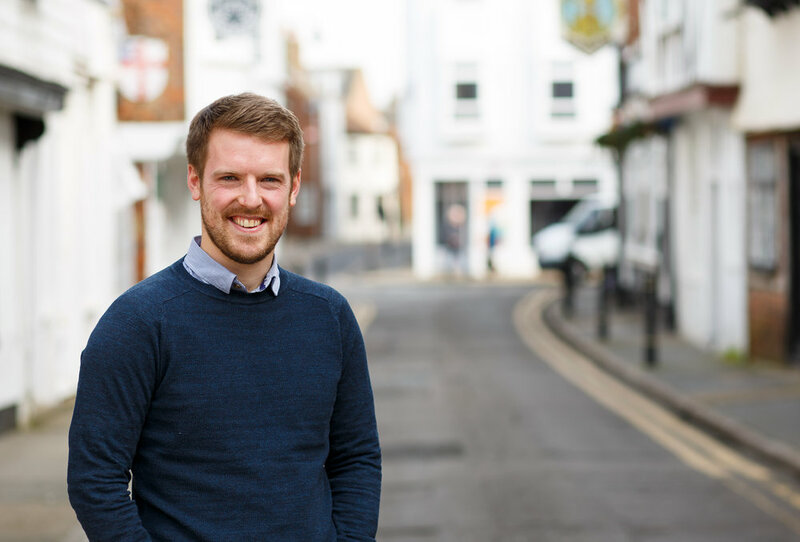 Sam Gardner is City Students leader and ID supervisor at the City Church, Canterbury and Whitstable. He is passionate about seeing young adults come to know Jesus and spend their lives following Him. Sam loves his wife Andi, exercising, having dinner with friends and a good cup of tea in the morning.